Propulsion: Triple expansion Steam boilers max. power 3.100 hp. 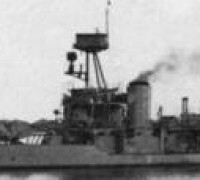 Armament: 1 120 mm gun, 1 20 mm Madsen machinegun. 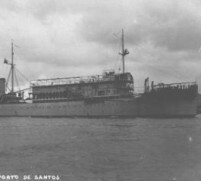 Tanker Marajo, ex-Malistan, was the second ship from Brazilian Navy to bear this name after the Island located at Amazon estuary. She was built by Bartram & Sons Ltd, Sunderland, England 1924, purchased at 1936 and incorporated 1937. The first Commander was Lieutenant Comm. Antônio Pedro de Cerqueira e Sousa. 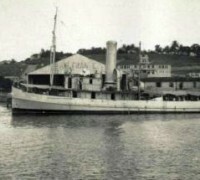 Marajó was a tanker which brought vital fuel oil from foreign sources in order to supply our warships during the war once Brazil only began to extract oil and produce fuel with the creation of a National Petroleum Agency PETROBRAS from 1953 Despite oil had been found out at Lobato, a region in the outskirts of Salvador Bahia, in 1939) During war, tanker Marajo was armed with one 120mm gun in the stern and one Madsen machine gun on the foredeck, to provide a minimum defensive system against possible attacks from German and Italian submarines. 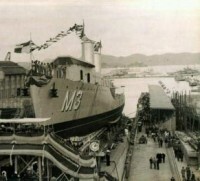 Tanker Marajo seen during war. Photo http://www.shipspotting.com/gallery/photo.php?lid=1866027 Edson de Lima Lucas Collection.